These days, people think it was the Nintento Wii that brought families together to play computer games... Wrong! 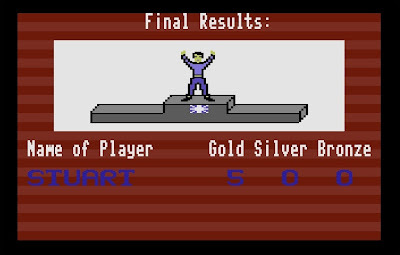 Back in the 80’s there was a sudden boom of Olympic sporting games. 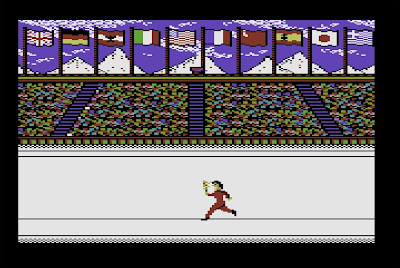 Epyx were famous for the Winter and Summer Games series (amongst many others), Activision brought out Decathlon, and Ocean had a series of Daley Thompson themed Olympic titles. 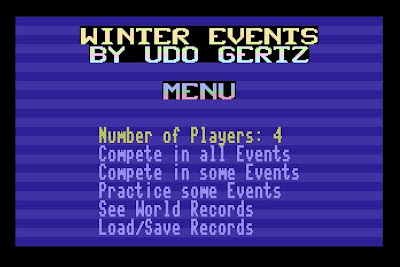 Each of these games would allow a number of players to compete against one another in several events. 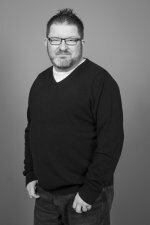 Many are infamous for causing joysticks to break due to the vigorous waggling of the joystick necessary to play the events! 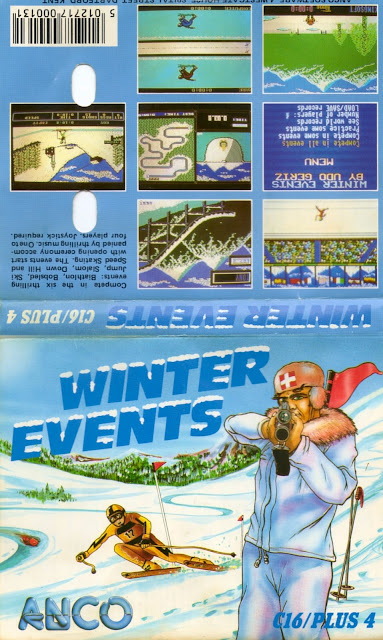 Of course, at the time these games came out, I only had a Commodore Plus 4, and none of those great games came out on that system (ok, besides the joystick-unfriendly Daley Thompsons Star Events). 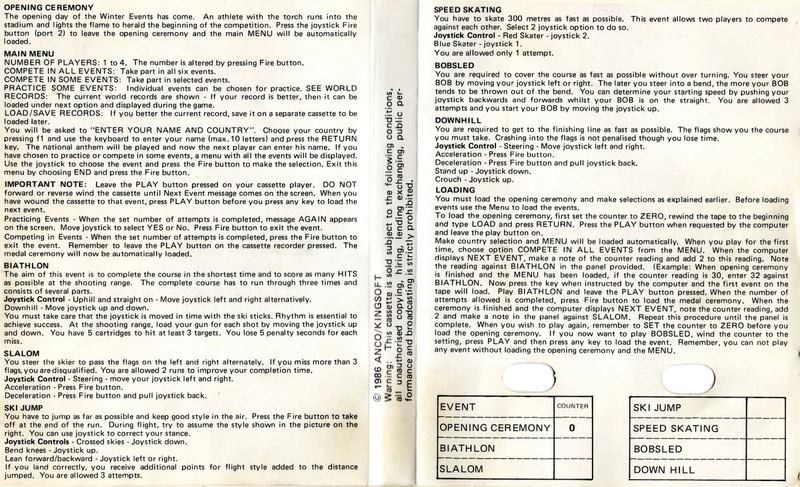 I remember a friend of the family bringing his Commodore 128 round to our house one evening, and showing us Summer Games, and I was wishing something similar would come out on our beloved Plus 4. 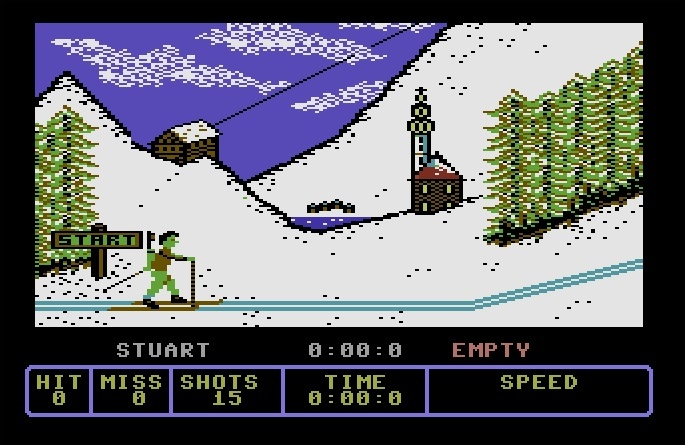 The game featured six events, consisting of Biathlon, Slalom, Ski Jump, Speed Skating, Bobsled and Down Hill Skiing, all featuring some of the best graphics ever seen on the system. Indeed, some rivalled that of Epyx’s very own Winter Games. 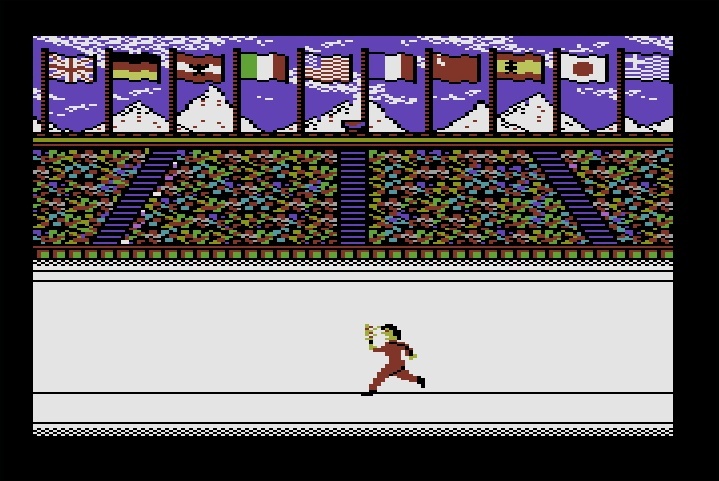 The game starts with a very impressive opening ceremony, showing an athlete lighting the Olympic torch. Although very impressive, I have never understood why the theme tune to the TV show Dallas is played during this! 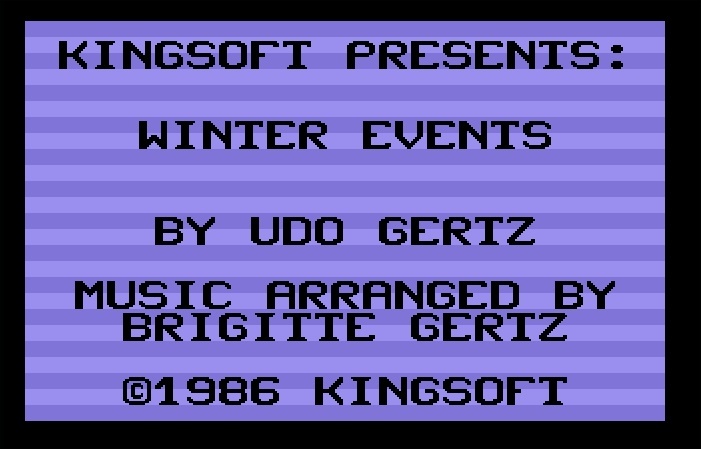 Once the introduction is finished, you are then taken to the Menu screen. 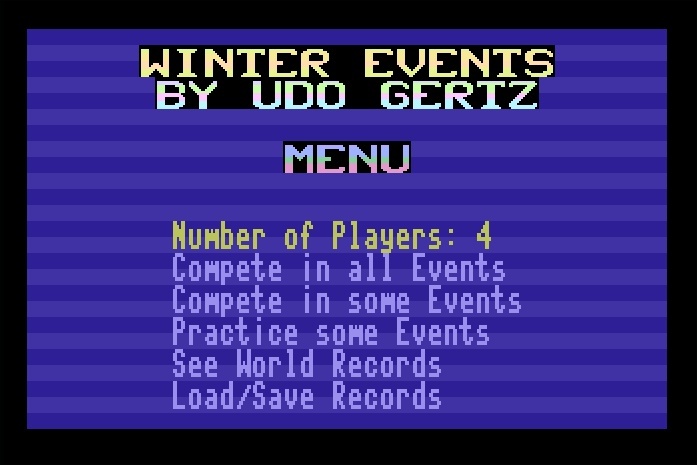 From here you can select the number of players (1-4), choose whether you want to compete in all the events, or just a few. 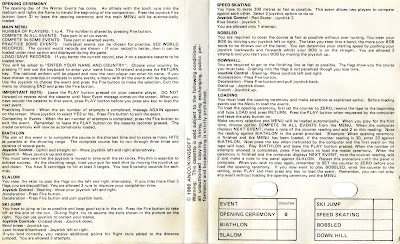 You can also practice an event, and load/save your world records to tape or disk. Once you have selected the game mode, you then have to enter your name and select the country you wish to play for. Once all of that is done, it’s time to play the events. 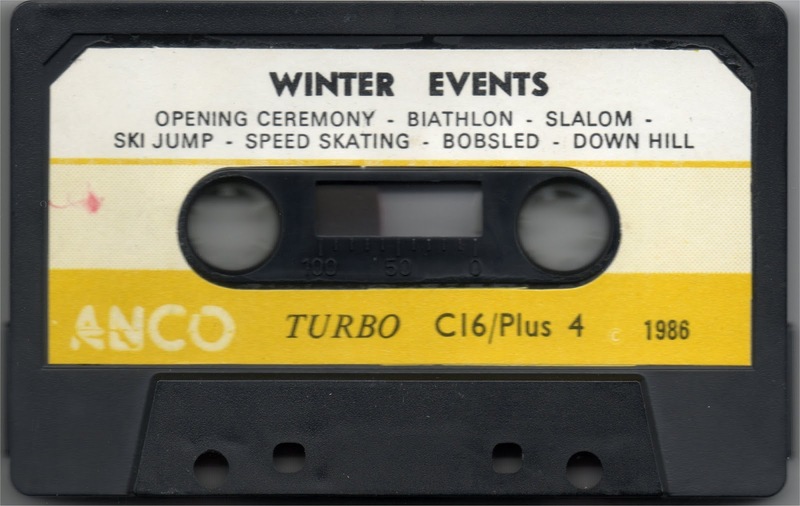 The first event was the Biathlon, and it was probably one of my favourites. It’s a simple event that had you moving the joystick left and right to ski (and up and down to ski down hills). You had to complete six laps of the course (each lap being only 3 screens long! ), and occasionally take part at shooting targets with your rifle. Quite odd that your character was green though! Next is the Slalom. 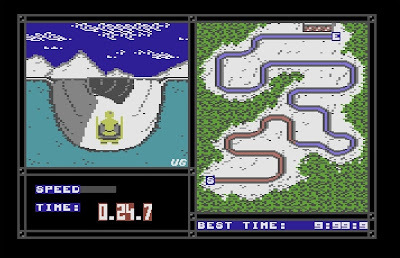 While most games of this type viewed the course from an aerial view, this one had the camera directly behind the skier (just like a car simulator), and had you swerving between the flags at crazy speeds! Quite difficult at first, but once you’ve learnt the course it is easy to complete in a fast time without having any faults. 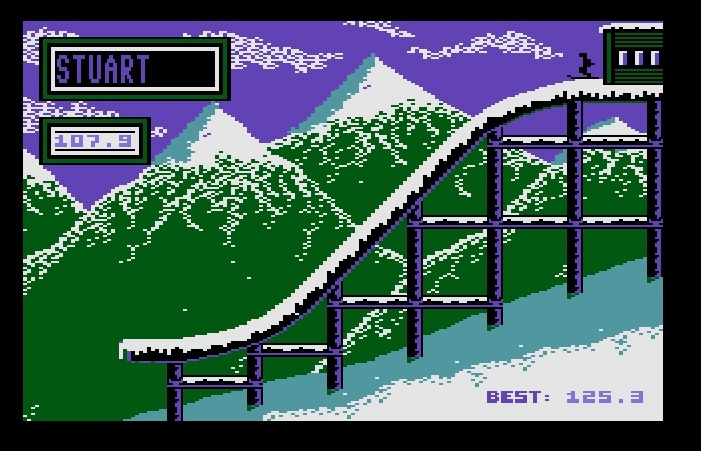 On to the next event – The Ski Jump. Pretty simple this time. 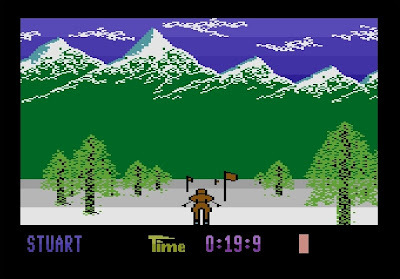 Press fire to begin down the slope, and just as you’re about to reach the end, press the fire button again to jump. 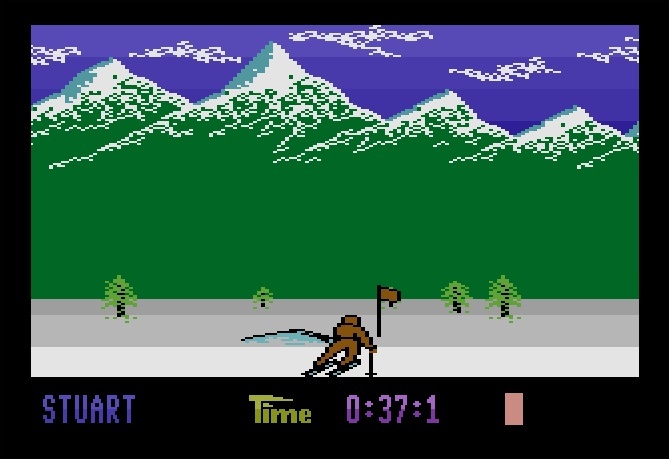 You then needed to use the joystick to position the ski jumper so that he aerodynamically flew through the air, and then land straight, otherwise your jumper would crash on landing. Speed Skating is the next event, and it also was my least favourite. 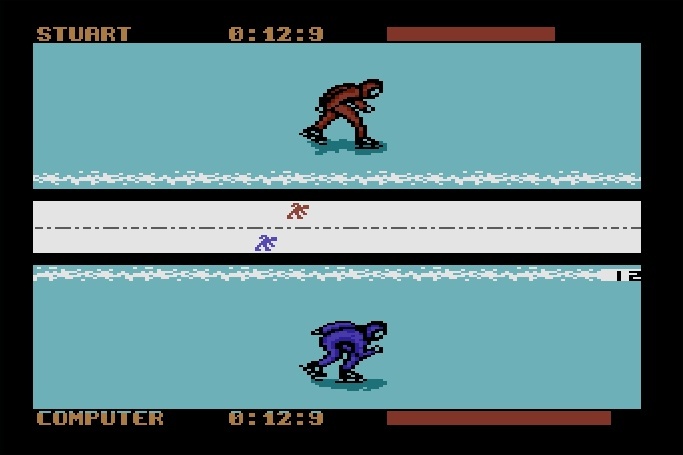 Simply move the joystick left and right in time to the skater’s legs. Fortunately this wasn’t your typical joystick waggler, so there was no need to frantically move the joystick (and risk breaking it!) This was also the only event in Winter Events which allowed you to play two players at the same time, assuming you had two joysticks. Onwards to the Bobsled event. This is another of my favourites. The screen was split in to two sections. 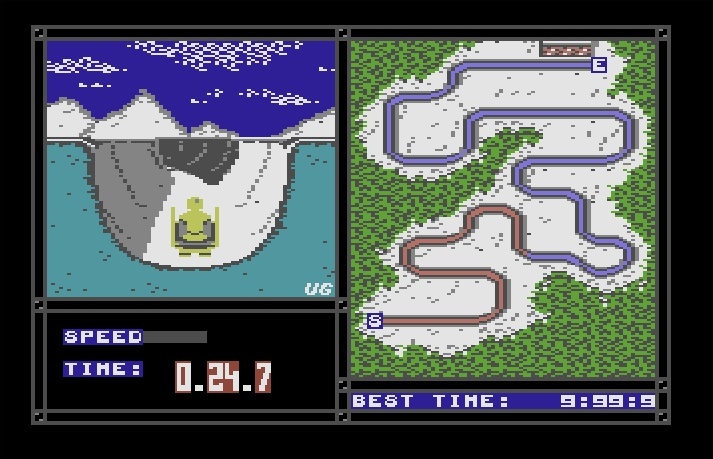 A map of the course was shown on the right, and your progress was indicated by a red line. 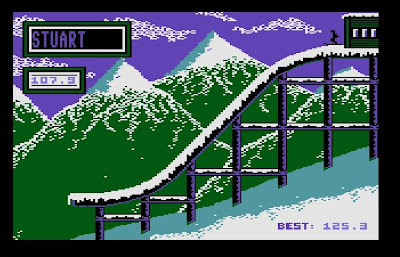 The left side of the screen was a cutaway view of the track, with the camera directly behind the bobsled. 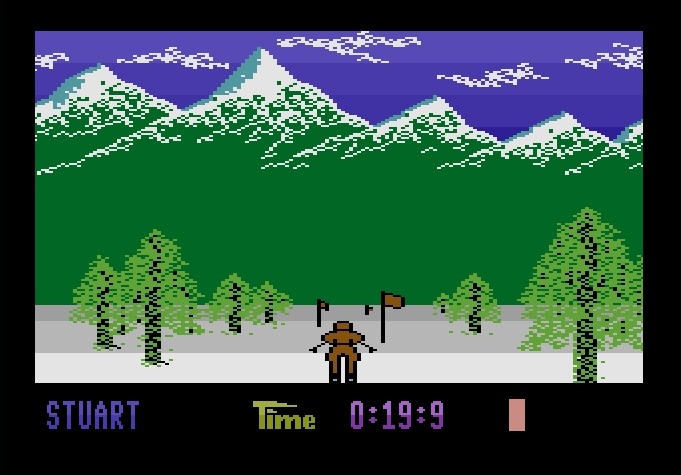 As you would approach each bend, you had to compensate using the joystick so that you didn’t flip over. Great fun! Finally, the last event was the Downhill. This was very similar to the Slalom event, except you did not need to swerve between the flags. It’s all pretty much downhill, travelling as fast as you could without colliding with any trees. As with the Slalom, once you had memorised the course, it was very easy to complete in a fast time. And that’s it. 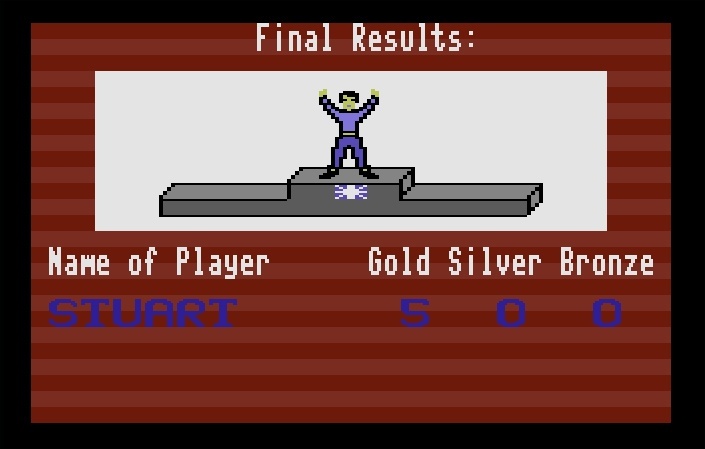 Once all the events were completed, a final screen would be displayed showing your character(s) on the podium, and the final results. Now as most of you know, I hate sport with a passion. However, I and my family would play this for hours and it was great because it was once of the few occasions that would bring us all together. 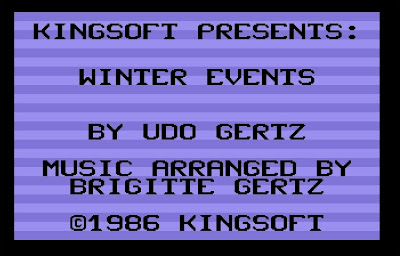 We spent countless hours playing this, and it was fortunate that Udo Gertz released a sequel not long later – Summer Events. A wonderful game, that still plays well today. I really miss those days when all four of us would sit around the living room TV playing this.